Are you wondering what is employer brand or employer branding? Employer brand is a term referred to describe company's reputation and popularity from a potential employer's perspective and describes the values company gives to its employees. Employer brand is a term referred to describe the company's reputation and popularity from a potential employer's perspective and describes the values the company gives to its employees. Employer Branding is the process of creating and maintaining your company’s Employer Brand. Employer brands are the mirror of the company's Employee Value Proposition. Having a strong employer brand has many opportunities. In a modern business world of talent acquisition, employer branding is used to introduce the company as a great place to work. It's used for communicating with current employees as well as attracting new, generally passive, workforce. 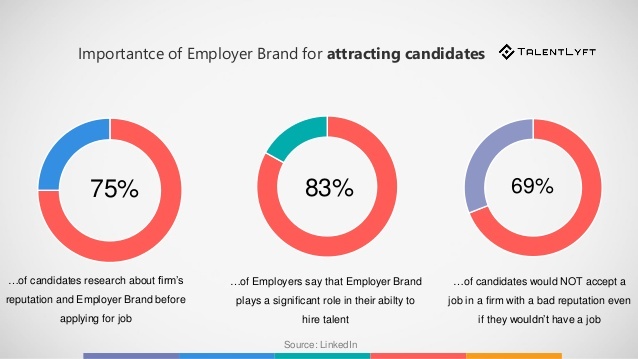 Research shows how strong the employer brand has a direct impact on talent acquisition. Companies with better reputations have higher-quality and more satisfied employees. Also, candidate experience is significantly improved and they tend to retain employees longer. 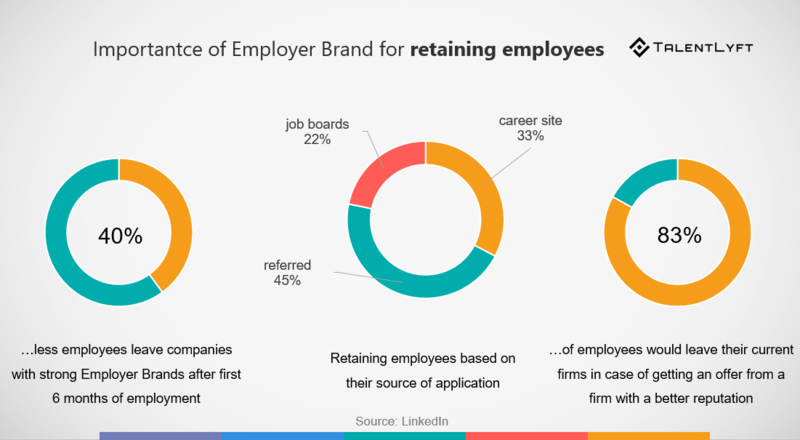 Besides attracting job candidates, employer branding is very important for retaining employees. To learn more about how to set up an Employer Branding strategy, read our blog: Employer Branding strategy in 5 steps. Recruitment Marketing is the application of marketing methods and tactics to showcase your Employer Brand. Recruitment Marketing tools can help you significantly improve your Employer Branding. They can help you showcase your brand on your career site, create email campaigns for job candidates and increase your brand awareness. To learn more about the difference between recruitment marketing and employer branding, check out our blog post: Employer Branding vs. Recruitment Marketing!